Elizabeth Collins is a writer, editor, professor and English tutor. An award-winning essayist and former news reporter, she holds her MFA in Writing from the University of Iowa. 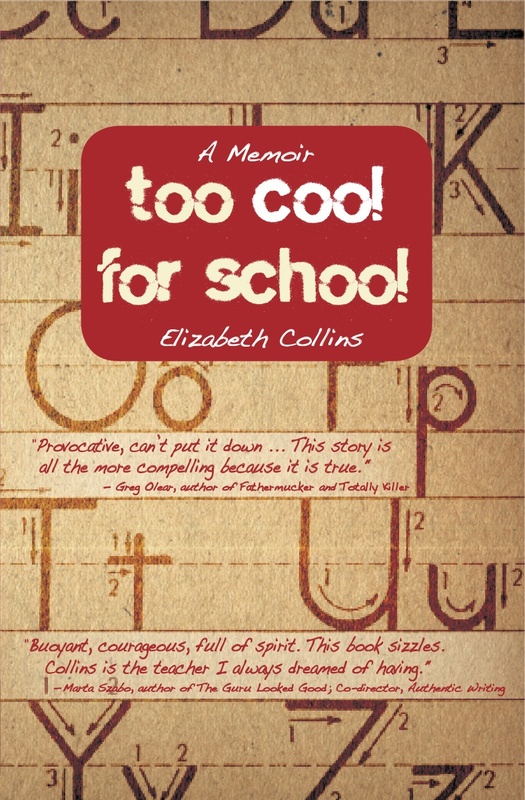 Collins’ books include The Beautiful Anthology (TNB Books, 2012) and Too Cool for School: A Memoir. She also writes YA novels. Collins lives near Philadelphia with her family and teaches writing at Philadelphia University. Too Cool for School is the shocking, true story of how an innovative, free-thinking teacher was driven out of her job. Elizabeth Collins was a respected English teacher at a private high school. She loved her students and worked herself to the bone. Then, because Collins did not use her husband’s last name, she was attacked for being a too-liberal influence. Collins became the unwitting victim of extremists who targeted her for termination and vilified her for daring to write about teaching in her widely-read blog. This popular teacher suddenly found herself at the center of an internationally reported scandal because she dared to speak out in order to protect others in her field and to write about teaching in order to perfect her craft. Hailed as a hero and a martyr and decried as an indoctrinator, Collins became either an inspirational and polarizing figure, depending on one’s political perspective. Too Cool for School explains the kind of teacher Collins was and is, what she wrote, the stress she endured, and how she survived. When a teacher can be targeted for being open-minded, having social media skills, and sharing her ideas about teaching, who is safe? This fascinating memoir is heartbreaking, deeply funny, uplifting, and terrifying–a must read for all teachers, students, parents, and anyone concerned with the state of American education today. Thanks, Sliver of Stone for the mention.